All mothers deserve our whole hearted appreciation and no better day to celebrate our mothers is than Mother’s Day. 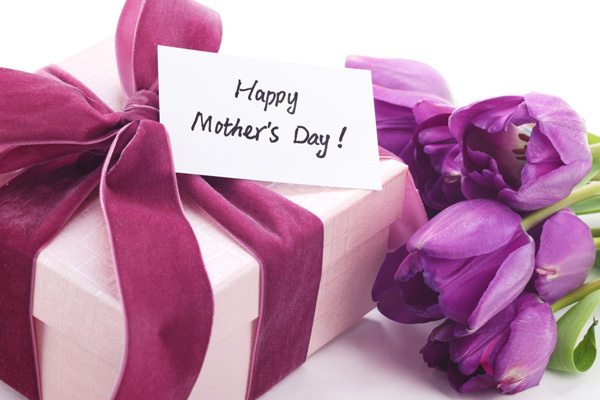 Mothers do not demand expensive gifts but will be delighted with gifts that are thoughtfully selected for them. Studies on gift giving by a team at Wharton University, in fact, confirmed that gifts of experience were more appreciated in the long term than material goods.Gifts of experience are like tickets for a movie, a restaurant meal, a music concert or a short holiday. The recipients of the experiential gift were likely to connect more to the gift giver than in case of a material gift. Clean family car: Your family spends a lot of time in the car. Very often cleaning it is the responsibility of your mum. Extend a helping hand and offer to clean the car, which will be much appreciated. Serve her a home cooked meal: For Mother’s Day, take up the task of cooking a meal like breakfast or lunch, so as to give rest to those loving hands. It could be a delicious dinner, a dessert or breakfast in bed. Outdoor activity: Join her for some outdoor activity like a hike, a walk or a run. Outdoor activities make you healthy and studies show that doing exercise is more fun, joining with another person. Do the laundry: She has been doing the laundry for you since years. So now it is high time you return the favour. Start the act on Mother’s Day. Get connected online: Accept her friend request on social media. Sharing your personal life with your mother is not so disagreeable. Send photo montage: Make a collage using a bunch of nostalgic pictures and e-mail it to her or post on facebook. Take a print-out and get it framed for display. Volunteer: Volunteering for social causes can help in getting physical and emotional benefits. One benefit is prolonging your life span. So gifting a chance to volunteer together will help your mum live longer. Give up a bad habit: For years, she has disapproved of your bad habits like smoking, biting your nails, drinking, etc. Give it up on the occasion of Mother’s Day to make her ecstatic. Movie night: Gift her tickets to a movie or hire some DVD’s of her favourite movies and let her enjoy a night of fun. Go an extra mile by sponsoring the popcorn and soft drinks. Make her a homemade beauty therapy packet: Make some homemade facials and scrubs. They can be made of ingredients handy in the kitchen. Create some IOU coupons: Make some coupons that promise help of all kinds, which can be redeemed throughout the year. It means you are ready to commit to some tasks when your mother needs help. Order a bouquet of red roses or peonies of her favorite color through websites, which have international delivery like those tying up with florists in Pakistan. Snacks and treats: One can order lip smacking goodies online for your mom. Spa package: Assemble a gift basket of spa products and send it to your mum for a luxuriating experience. Chocolates: Send some special chocolate items like strawberries dipped in chocolate. These are some ideal gifts for Mother’s Day.